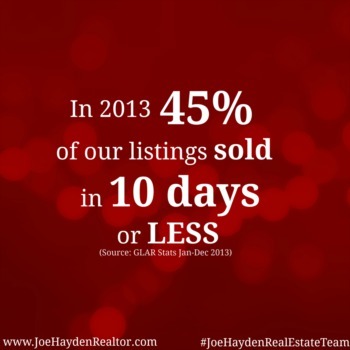 4 Ways to Improve the Selling Potential of Your Louisville Home for Under $1,000 | Joe Hayden Real Estate Team - Your Real Estate Experts! The Louisville housing market has taken a dip with the economic downturn. Many people, when selling their homes, make the mistake of thinking they need to renovate in order to make their property more attractive to buyers. However, most buyers will want to customize a home according to their own tastes. Here are four small, inexpensive things you can do that cost less than $1,000 and can maximize your Louisville home's appeal to buyers without breaking the bank. When entering a home, buyers want to be able to imagine how their own possessions are going to fit in to the space. A lot of clutter makes rooms look smaller. Putting excess furnishings, like easy chairs and side tables, in storage can make rooms seem more spacious and enhance the potential value of your home. "Just clean up your act. Put your junk in a storage locker," says Chicago Realtor Zack Sudler. He recommends putting tools away neatly, storing work clothes, and, if you're not the world's most meticulous cleaner, hiring a professional. Also, clean out those closets and cupboards to increase the feeling of spaciousness and potential. Cost: Cleaner, $200; Storage, $100/month. Tend to the lawn and driveway so that the first impression is favorable. A few large flowerpots by the front door, and along pathways, can add a homey, welcoming feel. While smart sellers do not invest in renovations, making sure that minor repairs—like light bulb replacements and wobbly hinges—are taken care of will give the impression that your home has been well cared for. Cost: Landscaping Materials, $100; Minor Repairs, $50-$200. Counter to what many people believe, the key to staging is not to give your home personality. The idea behind staging your home is to neutralize, with minor decorative touches for the masses. Christmas? A poinsettia will do. Summertime? A bowl of fruit on the table adds a homey touch. Aiming for neutrality means getting rid of family photos, cosmetics, and the small kitchen appliances that you will be taking with you when you move. Cost: $0. The most affordable way to achieve a fresh feeling is to paint, according to Sudler. Having quirky or bright colors will give your home a certain style, narrowing your home's appeal. You want to go with beige or eggshell on the walls and white ceilings. Outside, limit your painting to railings and trim for low-cost spruce ups that won't cost a fortune. Cost: Painting (interior and exterior), $50-$1,000. Counter to prevailing wisdom, most home improvements that help give your property the edge in a depressed real estate market are not structural, but rather cosmetic. Most buyers will want to make bigger renovation decisions on their own. For less than $1,000, you can add to your Louisville home's curb appeal and set the stage for prospective owners to picture themselves living there. Inexpensive but impactful investments are mainly about taking the time to clean, declutter, and replace damaged fixtures, while paint is a great (and cheap) way to make your home seem like a blank canvas for buyers to pin their dreams upon.